The new trend colour of the year for all small metalheads is pink! 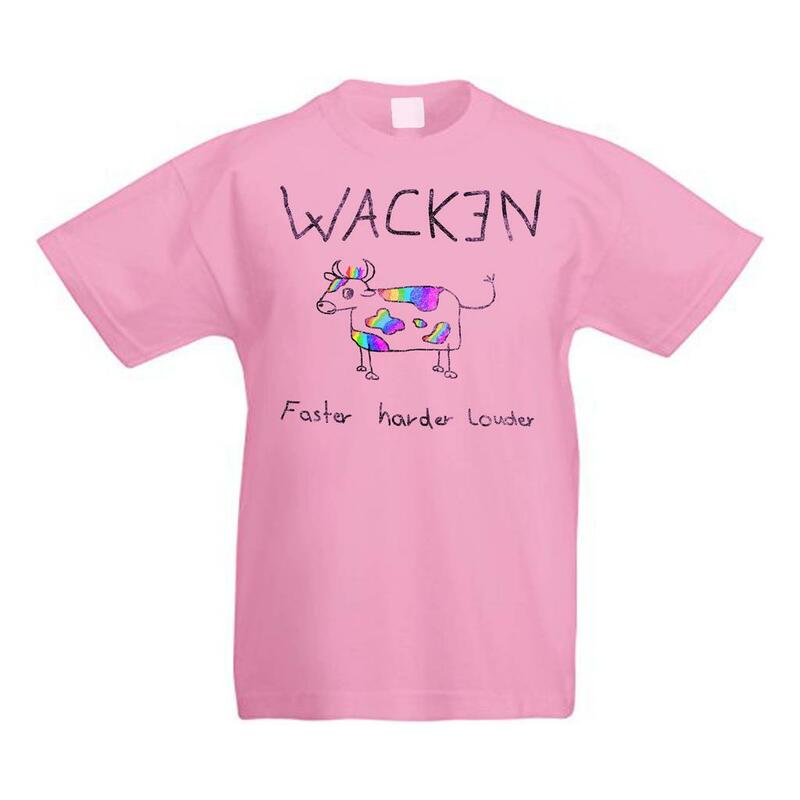 The front of the colourful Kids T-Shirt made of 100% cotton is decorated with a large "Wacken" lettering, as well as the slogan "Faster, Harder, Louder" in black letters. The center of the funny design is formed by a cow with multicolored rainbow spots, which makes the Shirt an absolute eyecatcher. Also available for men (here) and women (here).